I currently don't own a large out door grill, there are nights I miss sitting out back grilling but I've quickly discovered that I can do a lot with either my oven or my George Foremen Grill indoors! I love cooking with chicken, we probably eat it 3-4 times a week or more! This recipe is full of flavor & will be sure to please your hungry gang! This meal can be served with almost any side - veggies, sweet potatoes, you name it! Enjoy! This looks so great and fairly easy to make. The dudes in my life will enjoy this too. Can't wait to try it. Hope you are doing well btw!!! 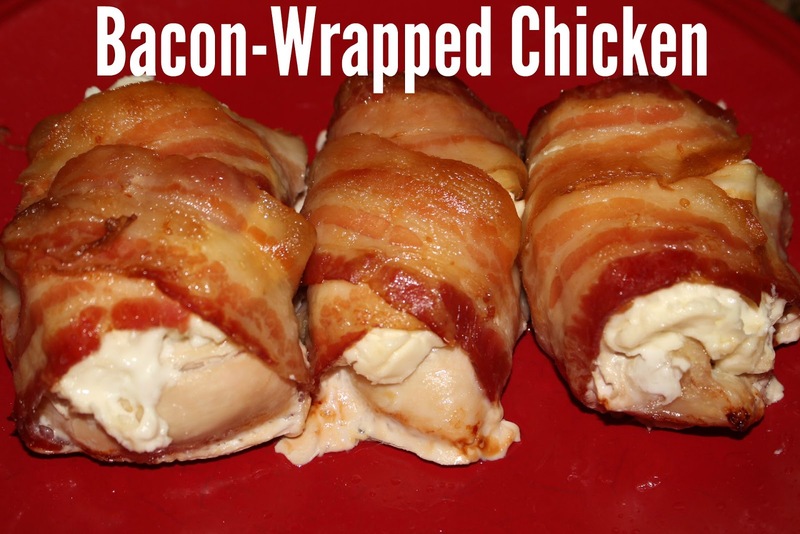 I have all three of these ingredients so going to try soon, and I'm a bacon lover so yummy, thanks for the post! This is an easy recipe and should taste so good. I actually might add a few fresh spinach leaves with the cream cheese before I roll up the breasts to appease my conscience! This looks and sounds delicious! Thanks for sharing! 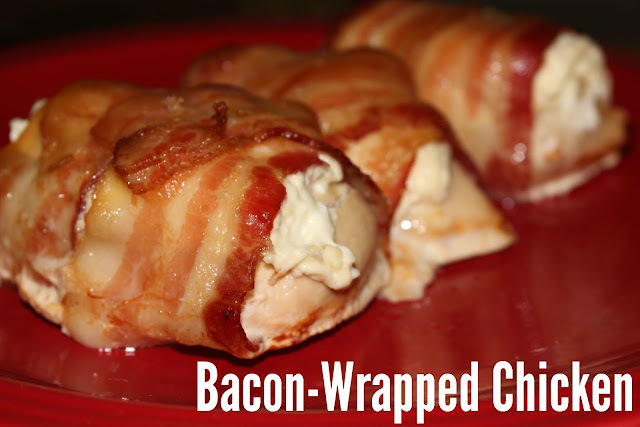 Anything wrapped in bacon is amazing..... gosh if I could I really would eat a whole pack of bacon, nice and crispy solo! Yikes.... I cannot believe I admitted that..... but honestly, I am going to try this recipe next week. Thanks!